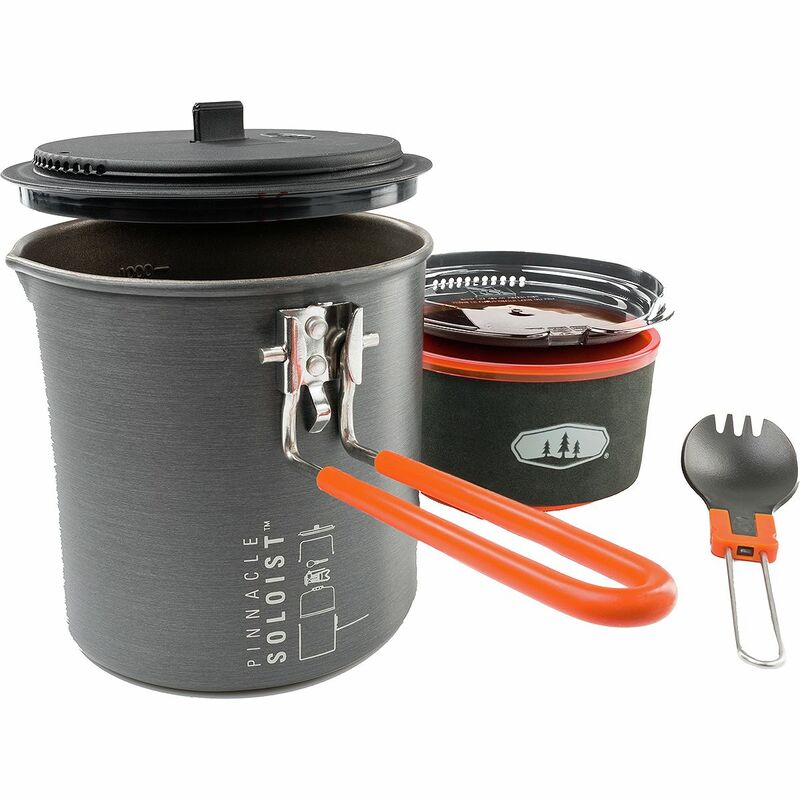 The pinnacle of camp cooking for one, GSI Outdoors' Pinnacle Soloist II Cook Set packs a pot and bowl/mug combo for backpacking meals. The pot provides non-stick convenience, and there's a detachable handle and strainer lid for convenience. There's an insulated sleeve over the cup and Sip It lid so you don't spill or cool your coffee, and the bowl has tapered edges to prevent spilling. All of these nest together, along with the folding fpoon, inside the stuff sack that doubles as a waterproof sink for easy cleaning at the campsite. 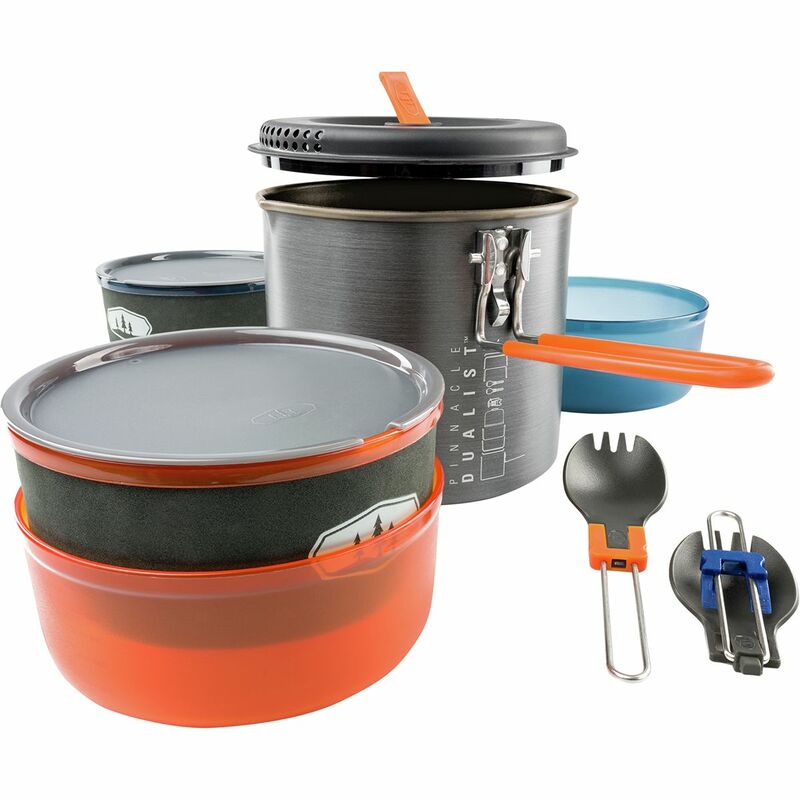 The pinnacle of camp cooking for two, GSI Outdoors' Pinnacle Dualist II Cook Set packs a pot and two sets of bowls and cups for backpacking meals. The pot provides non-stick convenience, and there's a detachable handle and strainer lid for convenience. There are insulated sleeves over the cups and Sip It lids so you don't spill or cool your coffee, and the bowls have tapered edges to prevent spilling. All of these nest together, along with the folding fpoons, inside the stuff sack that doubles as a waterproof sink for easy cleaning at the campsite. 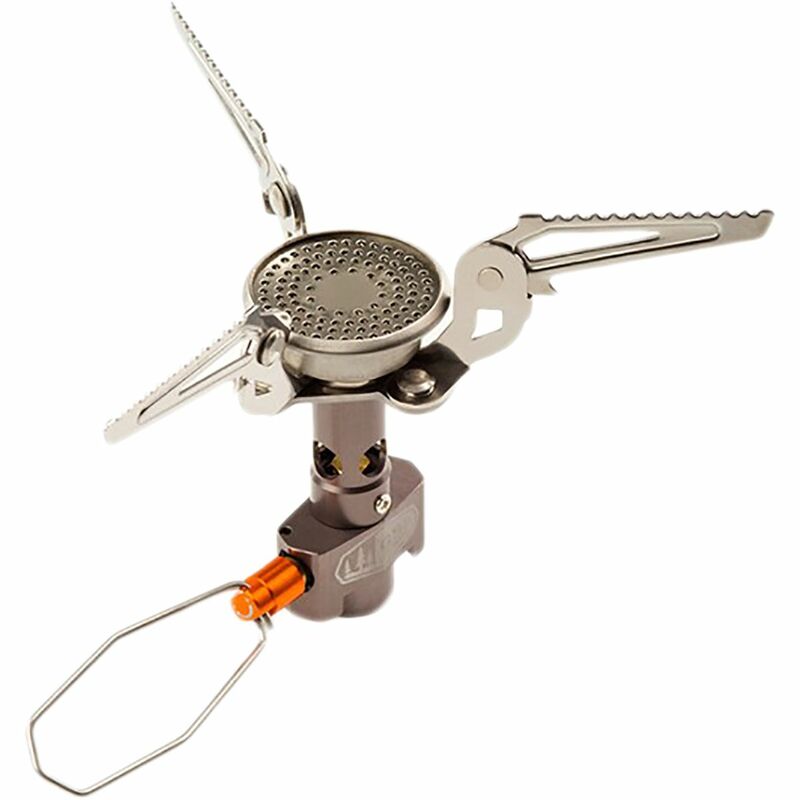 GSI Outdoors made the Pinnacle Stove light and compact for ultralight backpacking and alpine climbing. Its high-efficiency burner balances between a fast boil time and reduced fuel usage, and the support arms fold down for compact storage. There's a control valve for micro-adjustments, and the four-season has a separated canister mount and folding legs that work particularly well on snowy grounds. GSI Outdoors included a bag, and ensured that the stove fits in GSI's nForm cookware supplies. Proposition 65 Warning for California Consumers: This product contains chemicals known to the State of California to cause cancer and/or birth defects or other reproductive harm. 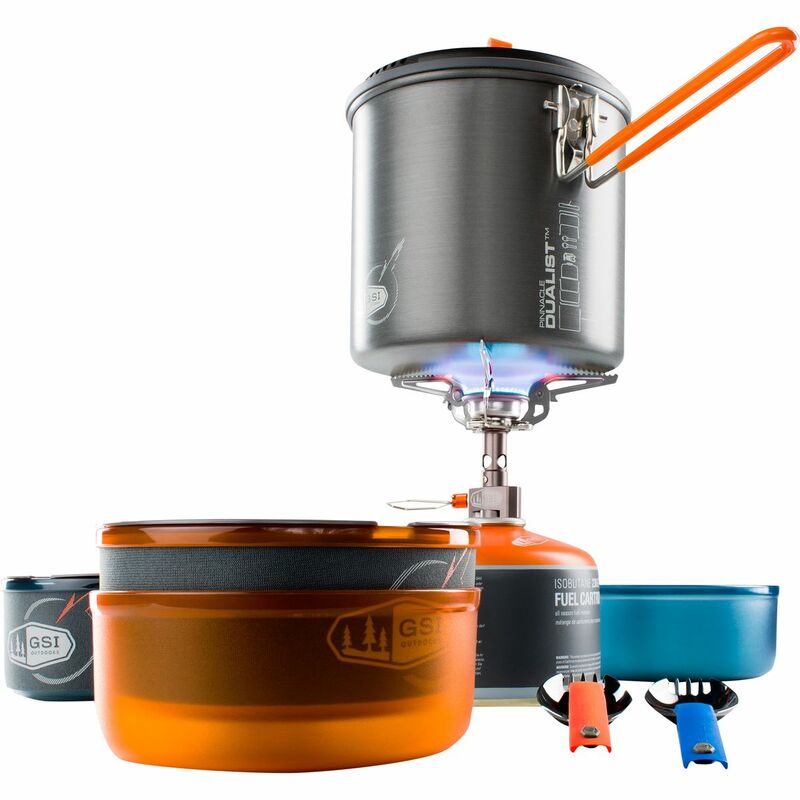 The GSI Outdoors Pinnacle Dualist Complete Stove includes all the cookware that you and a partner need for ultralight backpacking trips and alpine climbs. Its high-efficiency Pinnacle Stove balances between a fast boil time and reduced fuel usage, and its base plate folds down for compact storage. There's a control valve for micro-adjustments, and GSI included a windscreen for reliable use in windy situations. This set also includes a 1. 8L pot with a lid that doubles as a strainer, and a folding handled that locks the entire set together. GSI also included two mugs with insulated sleeves so you don't burn your hands, two bowls with sip-it tops so you don't spill hot water down your only puffy, and two foons that fold when not in use. All of these items store inside a small bag that doubles as a sink for washing everything up after each meal. 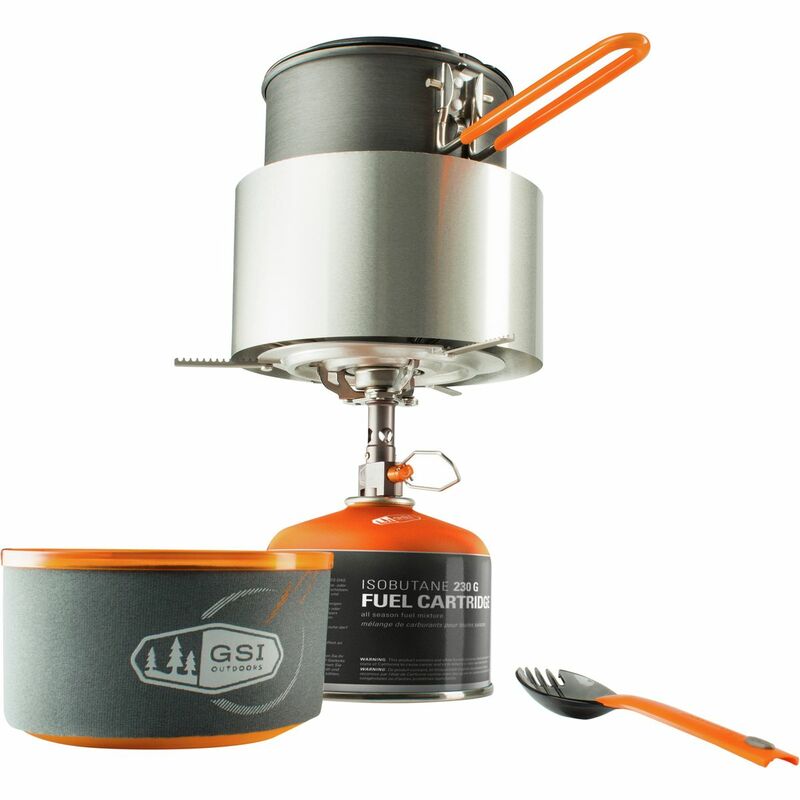 Ring the dinner bell and bust out the GSI Pinnacle Camper Cookset. Nested inside this compact cookset are all the tools you need to address your four-person cooking woes. 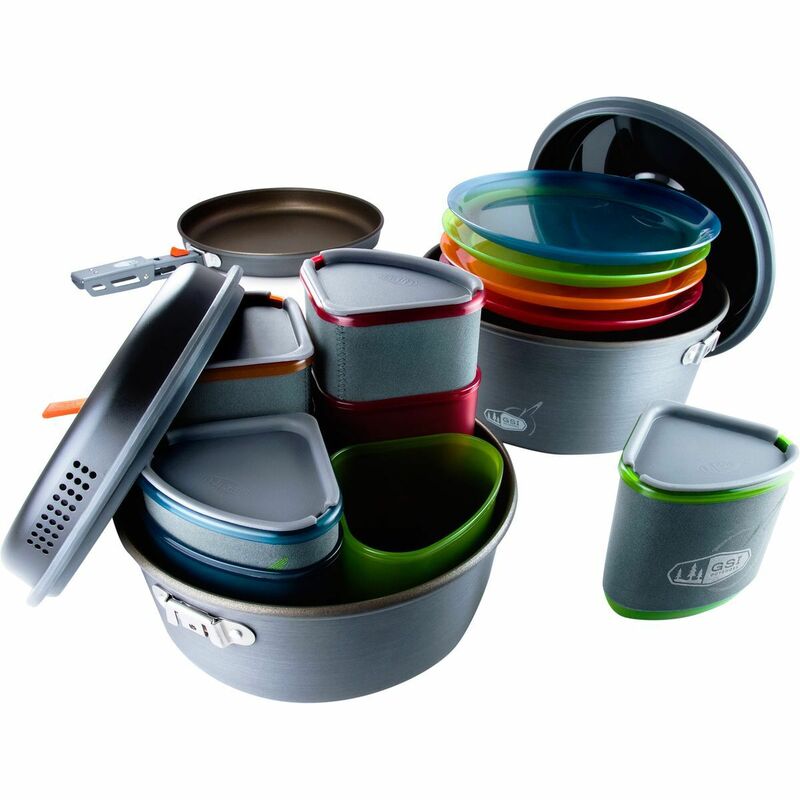 BPA-free plastic comprises the dishes used for serving, durable and non-stick-coated metal pots help you cook up a storm, and the leak-free stuff sack aids your cleanup efforts. Go forth and conquer mealtime. 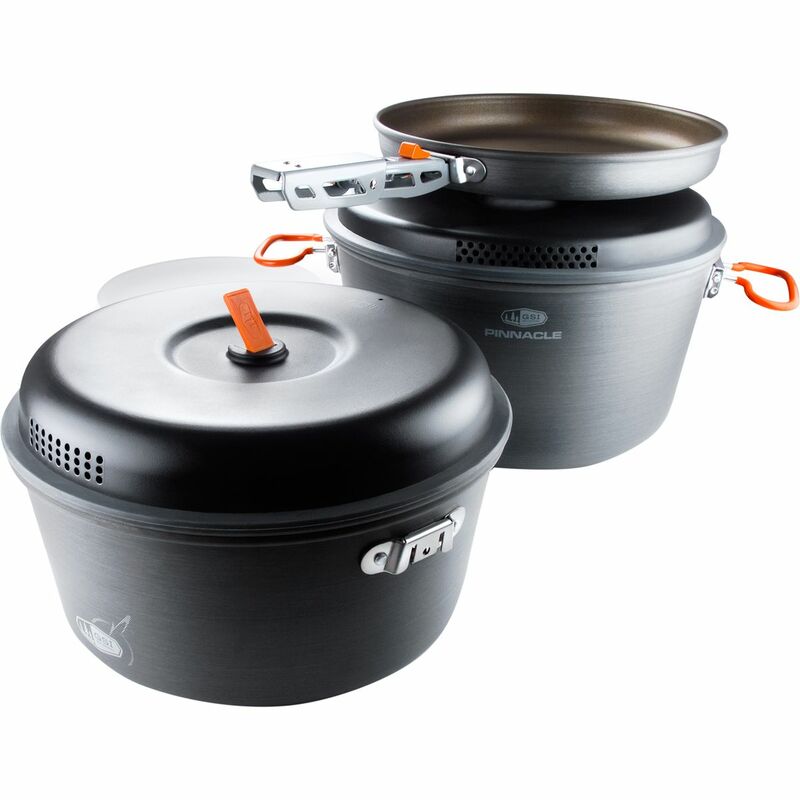 Inside a yurt or at a mountaineer's luxurious base camp, the GSI Outdoors Pinnacle Base Camper Cookset enables home-cooked meals between hard days in the mountains or after long day hikes. 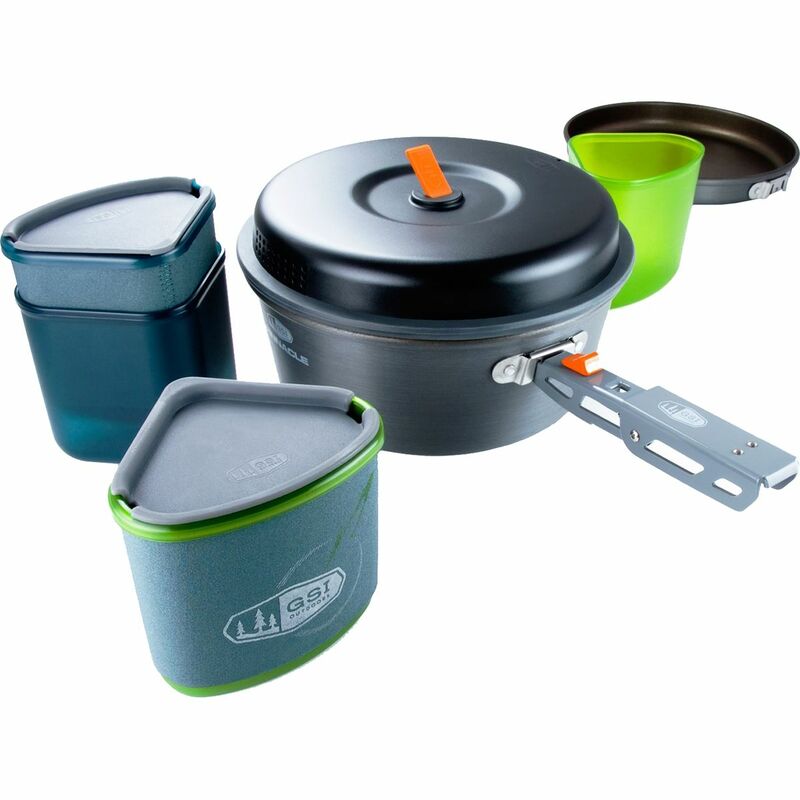 Thanks to this high-quality, compact nForm cookset, you're able to prep, cook, and clean up after a meal for four or so campers or climbers. This large set includes a five-liter pot, a three-liter pot, two strainer lids, a nine-inch frying pan, a folding pot holder, a cutting board, and a welded sink stuff sack. After a long day on the trails nothing sounds better than some fresh, hot food. The GSI Outdoor Pinnacle Frypan gives you all the room you'll need to prepare some down-home deliciousness. 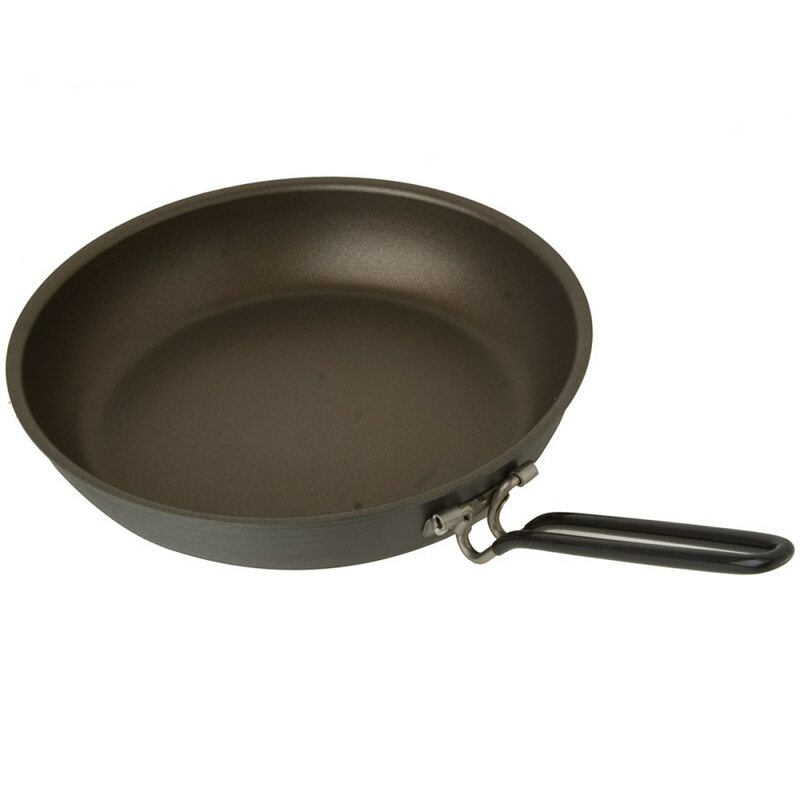 GSI's Pinnacle series uses Teflon with radiance technology to give you a trustworthy non-stick pan that will be cooking up tasty treats for years to come. 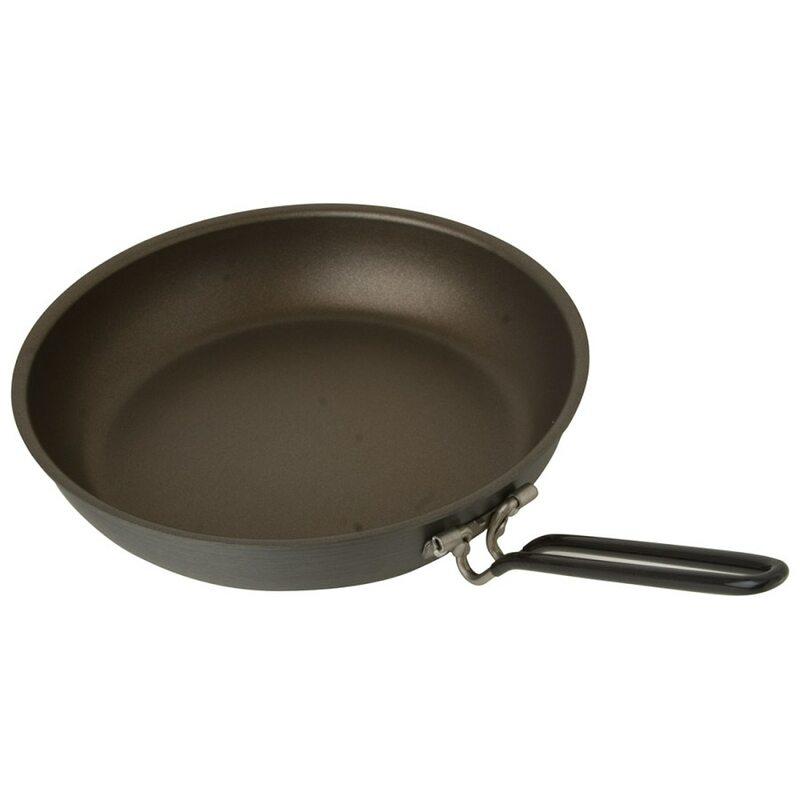 This pan spots a specially engineered topcoat to enhance heat dispersion and reduce hotspots so your homemade hash doesn't burn, while three layers of Teflon coating resists scratches and abrasions, even when you use a metal spatula or fork.